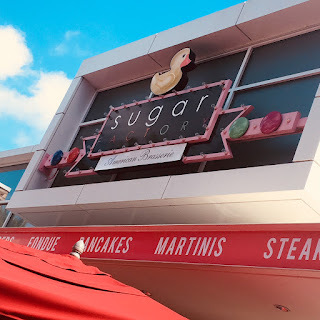 Looking for something sweet to do in Orlando? 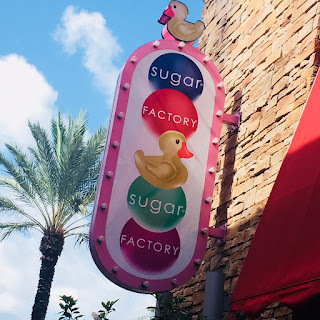 Sugar Factory Orlando is a "must do" for locals and tourists! 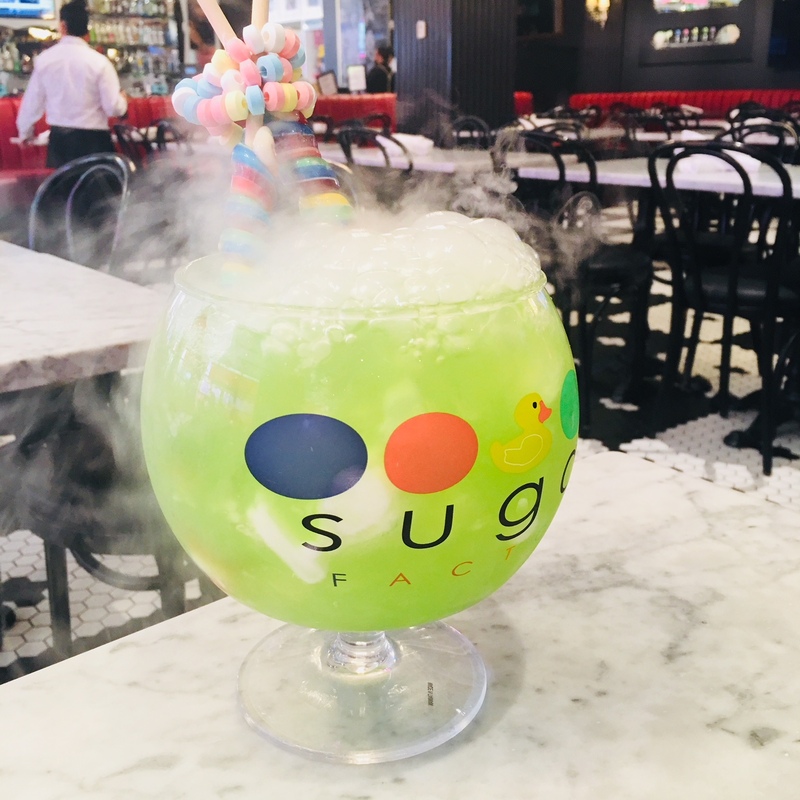 Sugar Factory Orlando is conveniently located on International Drive at the up and coming I-Drive 360 entertainment complex, home of the Orlando Eye. 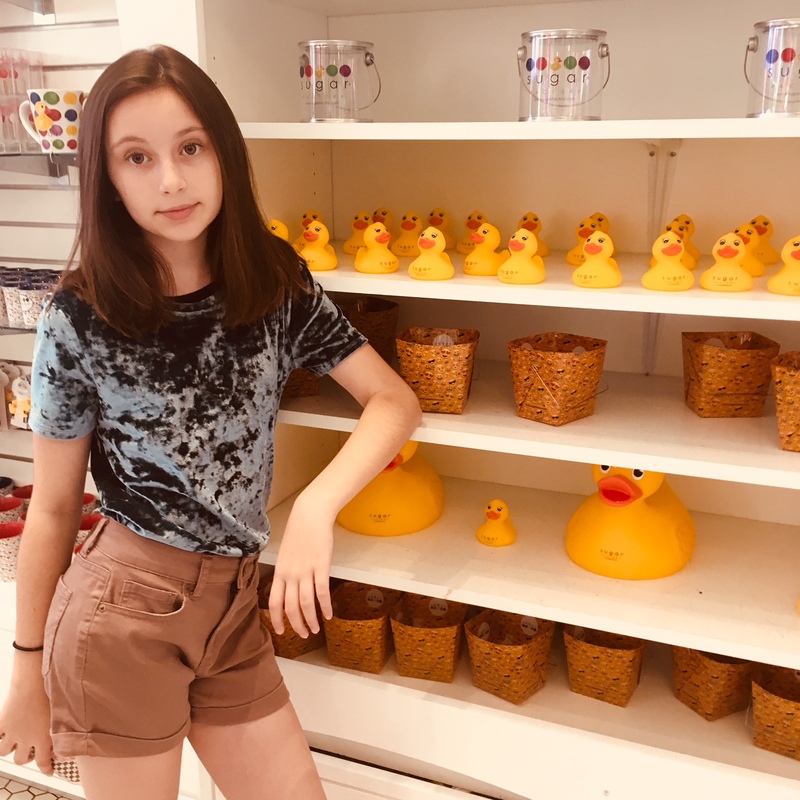 The gift shop offers lots of treats and souvenirs. You are sure to find something you LOVE. The yellow rubber duck is the signature mascot for Sugar Factory. If you don't have time for a full meal or just want a snack, there is an ice cream counter in the gift shop. Now let's move into the restaurant. It gets busy fast. This is a popular spot. If you are going with a larger group or if you have a time constraint, I strongly suggest you make a reservation! Also, I wanted to point out that the overall vibe during the day is more family-oriented whereas the night crowd geared towards party-goers (think Bachelorette parties). And you do NOT keep the goblet. It is not a souvenir. So yes, it's a fun and festive drink, and it looks great in my Instagram feed--but next time, we will try a signature milkshake which is $15'ish. The kids did enjoy the drink and even managed to finish the lollipops! To balance all the sugar, we ordered a four-cheese grilled sandwich with fries ($10). You can see the FULL MENU online. 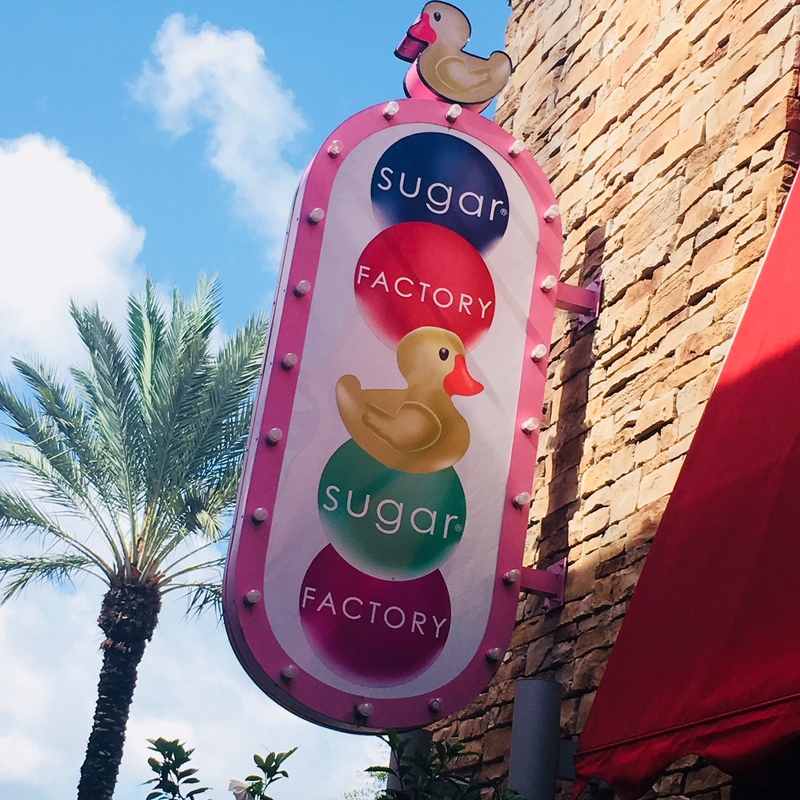 Sugar Factory Orlando is a fun attraction in Orlando. Kids love it. Adults love it. But be prepaid to spend a few dollars!